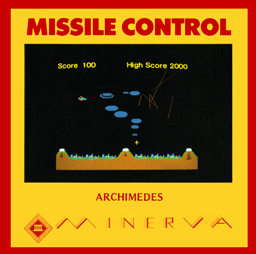 You are in command of the missile launches and must do your utmost to protect your cities from incoming missiles. 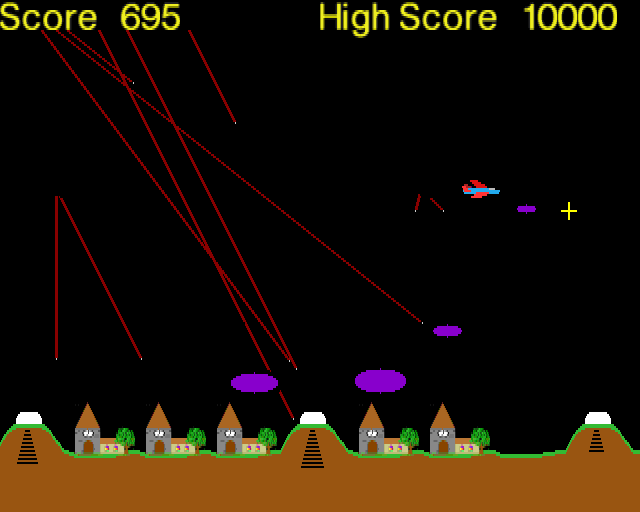 To do this you shoot them down with your missiles by positioning your cross beneath an enemy missile and firing. 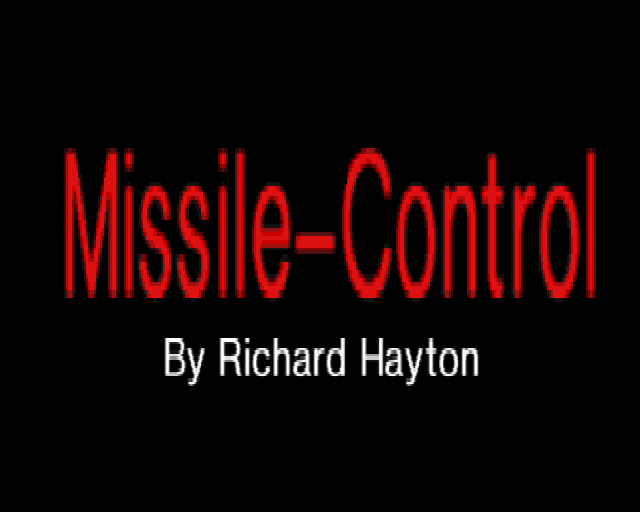 The shot from any one of your three missile bases will then detonate and, hopefully, destroy the enemy. On the second attack further planes and satellites fly across dropping more missiles, unless destroyed. In a later attack 'smart' missiles also appear which are able to avoid your explosions.